TORONTO — An outsider of sorts, Michael Silberbauer’s first interview produced the most profound thing said about the Canadian Premier League. 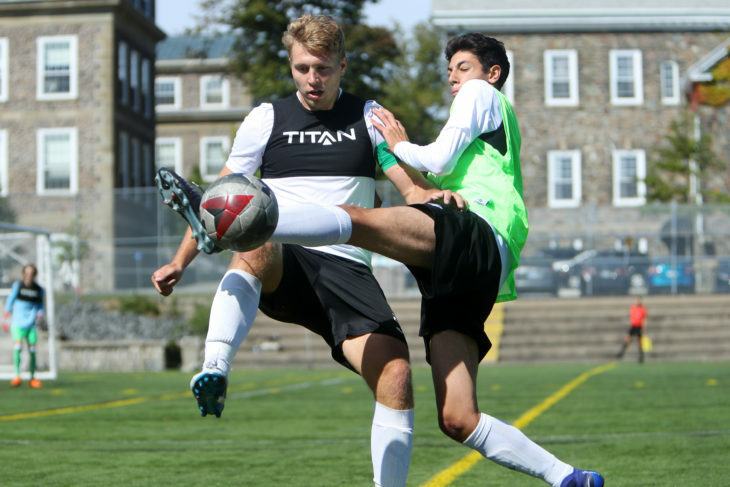 That’s the attraction of it, Silberbauer repeated last week in Toronto, the fourth stop on the CPL’s cross-Canada Open Trials tour. The league, he said, isn’t just an idea: It’s an opportunity to be at the forefront of a movement that’s set to alter the complexion of the game, not just in Canada, but in North America and beyond. In other words – a chance to be a part of one of the biggest soccer stories in Canadian history. 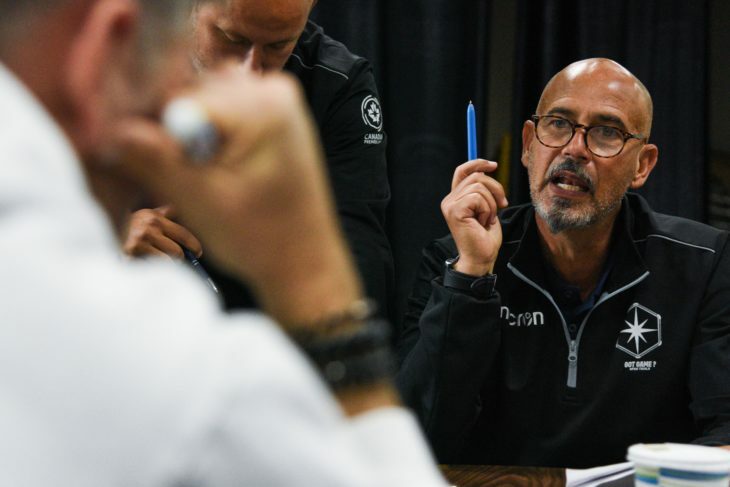 This isn’t about the birth of a league: It’s about the initiation of a Canadian soccer ecosystem, a place for hundreds of professional players, coaches, staff, administrators and referees to develop and earn a living in the process. Needless to say, there are an immense number of moving parts — jersey reveals, inaugural schedules, season ticket packages, media rights and more — on the cusp of being introduced. The uniqueness of the situation has made roster building all the more complex given rules surrounding pre-contracts and the exhaustive process of sifting through a database of more than 1,000 Canadian prospects, many of whom are playing in leagues around the globe, waiting to be unearthed and provided an opportunity to develop at home. Others include local semi-professionals who are working in advance of being contacted by an interested Canadian Premier League club. It’s why each Open Trial has doubled as an opportunity for the league’s coaches and front office staffers to discuss impending player signings that will be revealed in the coming weeks. Inevitably, the process of creating rosters from scratch has been a challenge to say the least, but the CPL has put together a layered approach that covers soccer talent options from top to bottom, from foundational players to young under-23 domestic players, local standouts and international players. By design, this plan should give all involved the opportunity to play and fulfill their potential. The CPL’s seven clubs have initiated the process of building out their rosters with experienced Canadians, including “Foundational Players” that CPL coaches want to build their inaugural rosters around. A second list, consisting of young Canadians under the age of 23 years old, was submitted to the league’s soccer operations office in advance of those players being approached in the coming days. “There were four things our clubs considered while building their rosters: A league that’s Canadian, with an age profile younger than most North American leagues, featuring local talent, with up and coming internationals mixed in,” said James Easton, the Canadian Premier League’s VP of Football Operations. Further roster additions, including select standouts from the league’s more than 1,400 trialists, will be revealed by early November, though Commissioner David Clanachan has stated he expects over 20 trialists to be invited to Training Camps. The anticipation of CPL clubs building their rosters has Canadian internationals like Atiba Hutchinson and Nik Ledgerwood keeping a watchful eye. Ledgerwood echoed his former teammate, adding the intrigue of seeing Canadian players come home continues to build interest. 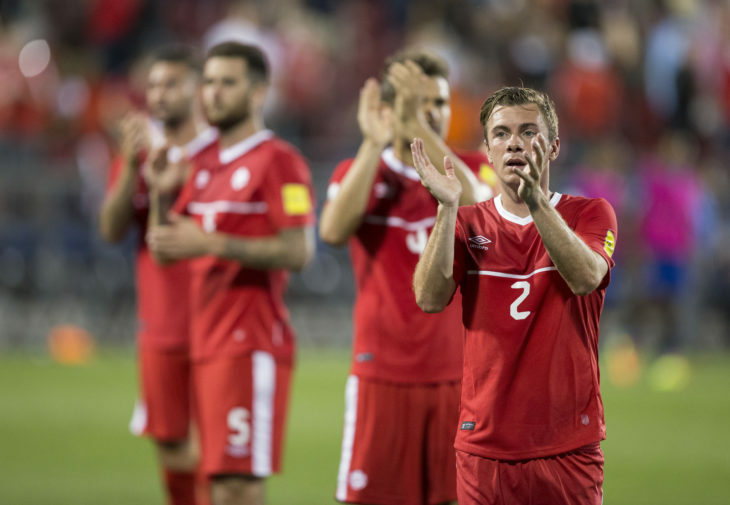 Ledgerwood steered clear of confirming Cavalry FC’s interest, but the Canadian international would seem to be the perfect fit for an inaugural CPL roster when you consider what CFC’s coach has stated. Wheeldon’s “colleagues” are in the midst of a similar process and answering the same question: How do you build a roster from nothing? Other CPL coaches, like FC Edmonton’s Jeff Paulus, were forthcoming in defining their player identification process. Silberbauer, on the other hand, said he’ll adapt his tactics to bring out the best in his west coast players. HFX Wanderers coach Stephen Hart says he’s building from back to front. Forge FC’s Bobby Smyrniotis says CPL players need to be versatile enough to feature in a variety of positions. They’re seven CPL coaches with seven ideas concerning how to build a side fit for top tier soccer. What’s more, all seven of them won’t get it right. “We’re playing real life Football Manager,” Wheeldon added. Again, a process that’s unlikely to happen again.